I admit that I love to dine out. From trying various cuisines to impeccable service, I enjoy a delicious meal. At the same time, I enjoy cooking. Trying to replicate some of my favorite dishes is fun for me. From experimenting with spices and seasonings to modifying favorite dishes, cooking can be an adventure in my own home. Recently I was approached by Beano to participate in its blogger recipe challenge, The Beano Be Natural Virtual Cook-off. The concept is to create an unique receipt that focuses on a particular type of ingredient, ones that can produce a little gas. Before I get to the recipes, let's talk about Beano. 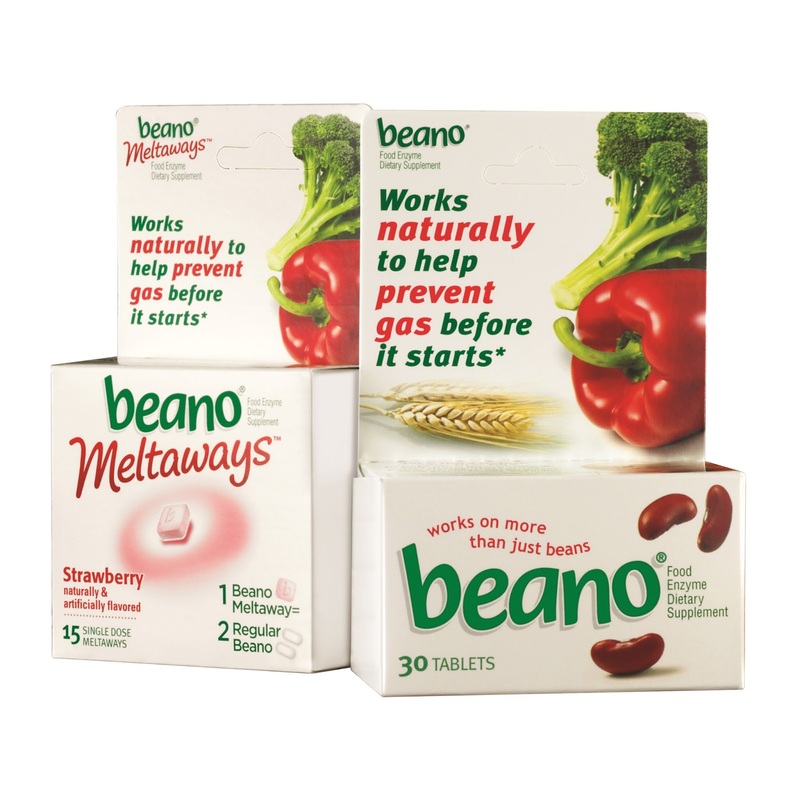 Beano contains a natural food enzyme that helps prevent gas before it starts. It is not a drug. Beano enables you to enjoy your favorite healthy food anywhere, without worrying about gas. There are many foods that can produce gas. Unfortunately, many of the foods that we eat on a daily basis can cause a little toot. While many people recognize beans as a gas producer, foods like lettuce,, onions, peppers and peanut butter could make you grab a Beano before you eat. With all these gas producing items in mind, Beano has begun a cooking challenge, the Beano Be Natural Virtual Cook-off. It will run through early October 2013. Everyone can vote on the Beano Facebook page for her favorite recipe. I wanted to get in on the cooking contest fun. Here is my recipe for a yummy Asian inspired dish that everyone can enjoy (even with a side of Beano to ward off any post-meal fumes). Thinly slice 1 whole seedless cucumber. Place in a bowl that can be sealed. In a separate bowl, combine rice wine vinegar, salt, sugar and chopped thai hot peppers (seeded if you prefer less hot) and mix. Pour liquid mixture over thinly sliced cucumbers. Try to coat all slices of cucumbers. Cover bowl and place in refrigerator. Let pickle for a minimum of 10 minutes, can be left longer. Combine 1 tablespoon of peanut butter with 1/2 cup soy sauce. Stir until sauce consistency. If spicy sauce is desired, add sriracha to taste. First, if your shrimp aren't cleaned or de-veined, prepare shrimp. Tails can be left on, but I prefer tails removed. Once veggies are soft, add the shrimp, 1/2 cup of soy sauce and 1 tablespoon of butter. Cook shrimp until they are opaque. Remove shrimp, onions and peppers from a pan and place in a serving bowl. Create an assembly line with lettuce, broccoli slaw, Asian slaw, shrimp and peanuts/peanut sauce. Add a few shrimp to the lettuce, top with broccoli slaw, Asian slaw, peanuts and/or peanut sauce. What I like about this dish is that it can be modified easily. For example, if you don't have enough lettuce, this dish could be served over rice. Or, if you don't like shrimp, your family can substitute chicken. The concept is easy for even the novice chef to complete yet impress your guests. Are you inspired to make a new dish? Be sure to check out Beano's Facebook page for all the entries in the Beano Be Natural Virtual Cook-off. Disclosure: I am participating in a sponsored campaign for Beano. I received promotional items and Beano products in exchange for my participation. The opinions stated here are my own. The recipe looks really good! My bil uses beano all the time :) It works! I think I might get the mister some Beano for his birthday. ;) These wraps look delicious - I love Asian food! That sounds super yummy. I think I would just substitute chicken for the shrimp since hubby is allergic. 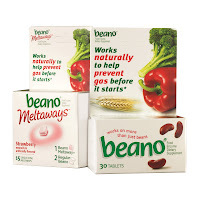 Also, I want to mention that my hubby uses Beano and we think that it is a great product. Oh my hubby would LOVE me to make that! It looks really good!! mmmm this looks really good! That looks really tasty! I'm totally going to have try this. And I need to start taking beano during the day, its an age thing! That recipe look delicious! Yes, I think it is about that time for me start taking Beano too!